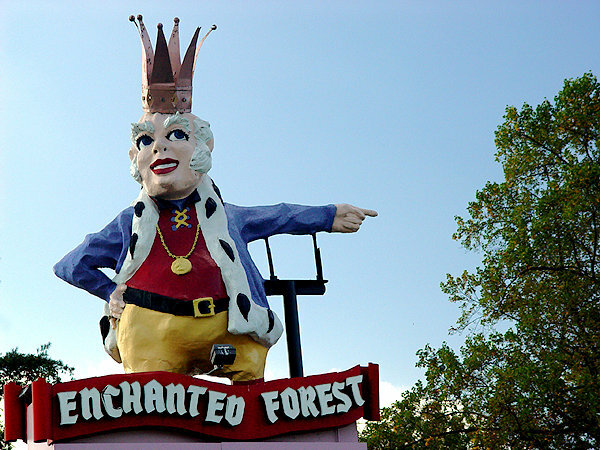 Old King Cole pointed the way to adventure… Now he points the way to high finance. Thank god the Enchanted Forest is being plowed under to make way for a bank! Because, really what the world needs more of is less creative, imaginative play spaces and more banks… and pharmacies. We just don’t have enough of either of those. 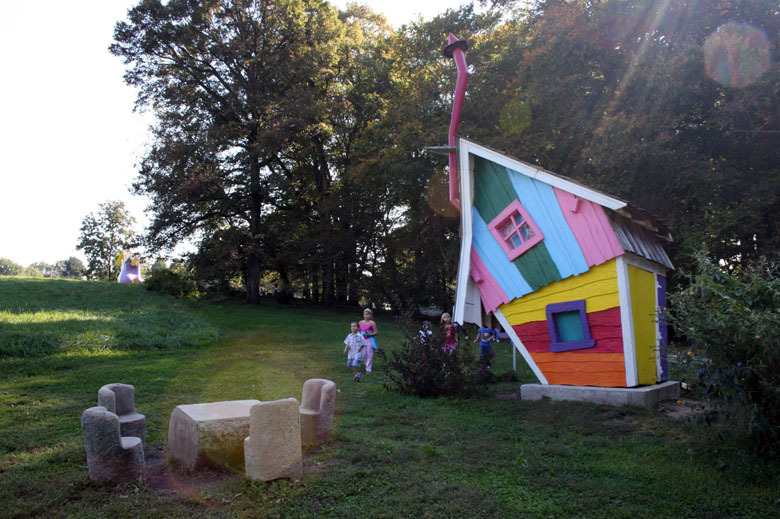 What we don’t have enough of are places where people (especially little people) can explore their imaginations and get lost in their creative whims. That’s what the Enchanted Forest was. It was a “Storybook land where fairy tales came true!” (according to a vintage ad for the theme park.) I know that was the case for this little 1960s era Baltimorean girl. The Mother Goose ride. 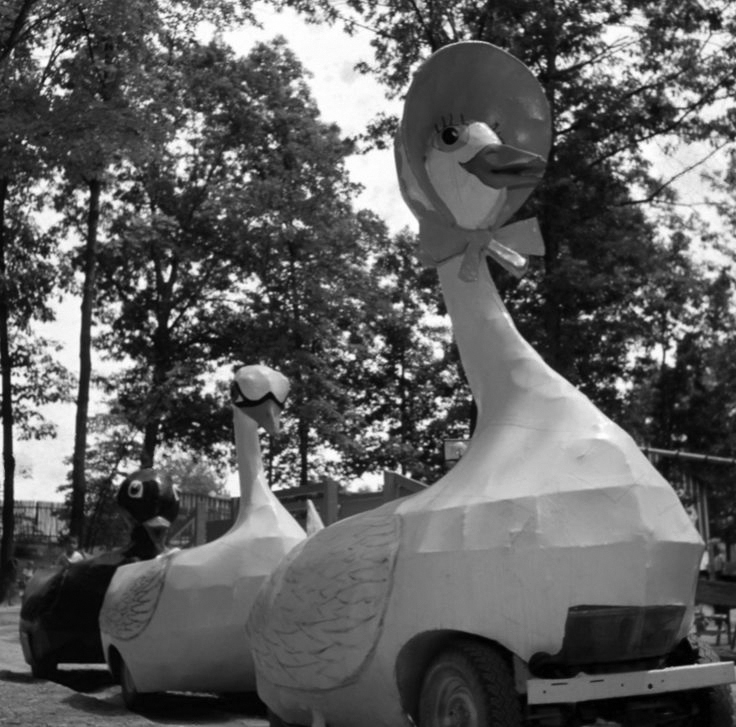 I always wanted to ride on the cute little baby black duck in the back. He was the BEST! Entropy and greed are evidently more powerful than the magic of childhood. But others languished beside and behind the strip mall. Unfortunately the amusement park seemed to have used “First Little Pig Building and Supply Co.” when it constructed the buildings, and the modern day equivalent to the pig’s straw house, fiberglass, is just not holding up. They are all suffering from neglect and age. And the mightiest of them all, Cinderella’s castle is crumbling. My childhood dreams… literally crumbling. Cinderella’s Castle, as viewed from the front, circa 1970; and from the back, circa 2009. …and a little flower of hope blossomed inside me. 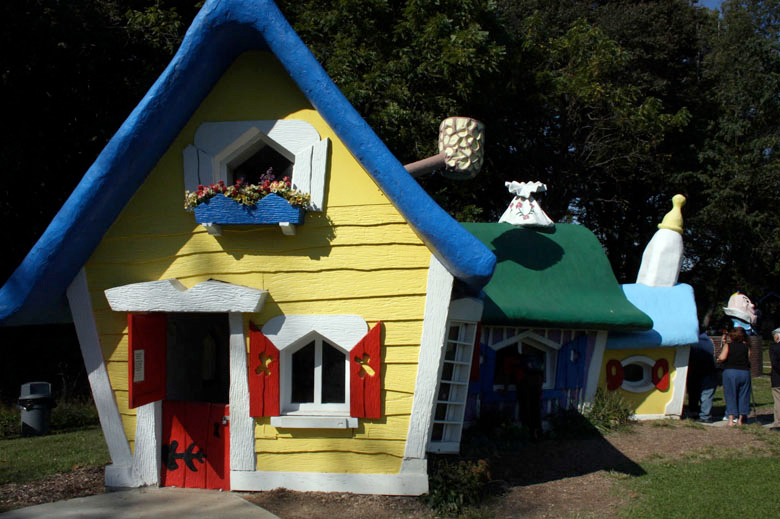 The Three Bears House is one of the newest rescued houses from the Enchanted Forest now “living” at Clark Elioak Farm. The entrance to the Enchanted Forest and the new entrance to Clark Elioak Farms. 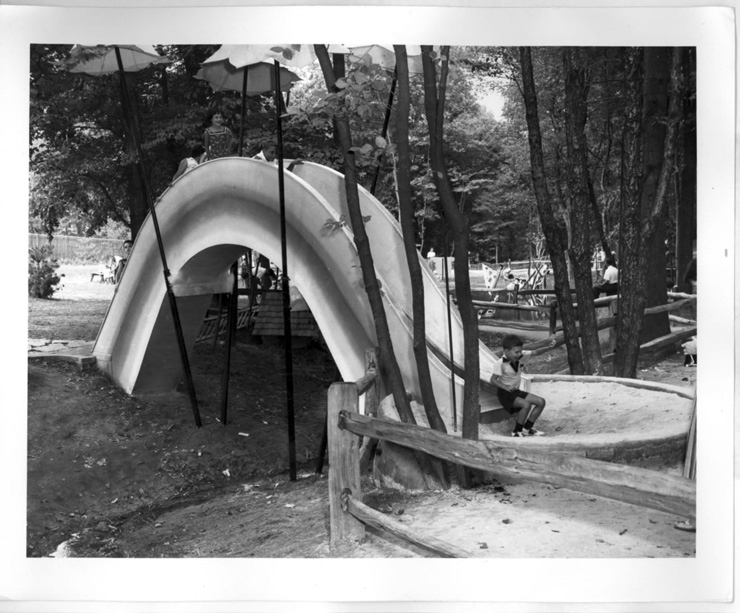 This entry was posted on Friday, November 1st, 2013 at 2:24 am	and tagged with Amusement park, Enchanted Forest and posted in Thought of the Day. You can follow any responses to this entry through the RSS 2.0 feed. We went there with some friends once when I was very little. It has always lived in my memory as a truly enchanted place. I’m glad the folks at Clark’s are preserving some of the buildings for today’s kids. Sad though, that the most imaginative use of the land anyone could come up with is – another bank. I called my mom to see if she confirm the name of Cinderella’s Caste (I couldn’t remember if it was Cinderella or Sleeping Beauty), and she asked sarcastically “Why, are they going to build another BANK?” She went on to say it was either that or a PHARMACY! At that point I had to read her the top of my Blog. She had said it almost word for word. Well, at least it’s not a Wawa. In Harford Co, the wawas are almost beating the banks and drugstores.